There was a period when the cases of casino cheating were widely spread at casinos all over the world. The human nature can show sometimes the dark side and demonstrate greed, cupidity and desire for easy profit. Thus, lots of players have invented various methods to cheat casino and to gain benefit during a game. With the course of time it has became more difficult to apply these methods as casinos` owners pay heed to players` actions and develop different methods to unmask cheaters. However, the cases of cheating cannot directly be referred only to players because casino employees also can cheat. Sometimes casino dealers that are professionals and perform really good card manipulation can cheat on gamblers. 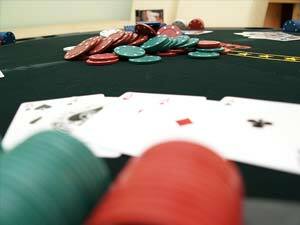 Casino dealer is a person who works for land based casino or online casino and manage the process of a game. This duty is to explain the rules and conditions of a game to players and to provide the good service in a sense of shuffling and dealing cards. Dealer also has to keep an eye on players and make sure that there is no attempt of cheating. As you can imagine, dealers are always aware of everything that going on at casino, they usually know all methods that are applied to protect casino from cheaters. Moreover, they know rules and loopholes of the game they deal with. First of all the shuffling process is a good opportunity for dealer to cheat. The thing is that dealer can easily apply any shuffling technique he wants and he is always aware of consequences, i.e. he knows how exactly the card order changes according to the certain method. Actually a professional dealer can deal the particular cards to player after shuffling. The most popular way to cheat among dealers is marked cards. Usually cheaters mark those cards which have the highest value. However, this method doesn`t require lots of skills except the calm behavior not to attract unnecessary attention. There are many ways to mark the cards: the simplest is to squeeze a card between the index finger and a thumb then go dirt marks, grease marks, crimped corners and so on. We suggest you to use so-called "burn cards" to reduce the marked cards` influence. There is also one more method to cheat that is called the second dealing. In case of second dealing the dealer collaborate with a player. During he shuffles cards he steal a glance at the top one which is as a rule the high value card and then deals it to player. Nowadays it has become almost impossible to cheat at casinos since they spend lots of money on good security system, different cameras and detectors. Moreover, there are also pit bosses and floor managers at the lobby that are watching players as well as dealers.